Late spring spawners. Fish concentrate in timber and brush in May, June & July. Fish concentrate on drop-offs and creek channels during midday. Some action can be found in shallows early and late. Fish return to shallow structure as well as chasing the abundant schools of bait fish on main lake, especially near points. Fish move back to drop-offs, but a few mild days may bring them back to shallows to feed. Same as largemouth. Spawn is around March. Can be found around deeper banks and rock banks. Fish stay deeper than largemouth, prefer deep rock banks. Early Spring Spawners. March and April best months. Look in shallow drop-offs and near shore where cover is available. Fish move to deep drop-offs on main creek and river channels. Fish return to same structure they use in Spring. Fish hold on creek channels near mouth of bays feeding most actively following 2-3 days of mild weather. Some fish continue to spawn into June. Fish are present near almost every tree and dock. The bigger ones are deeper. Fish continue to be caught near shore and docks. Fish sometimes remain on Fall patterns in December but become sluggish in January and February. Late spring spawners. Run back in major creeks and rivers. Look for large schools chasing shad and minnows on surface of main lake. Try trolling deep diver lures or jigging slab spoons along edges of main river channels. Difficult to locate at times, but still in large schools. Some surface activity in early Fall. Tend to frequent deep flats in later Fall. 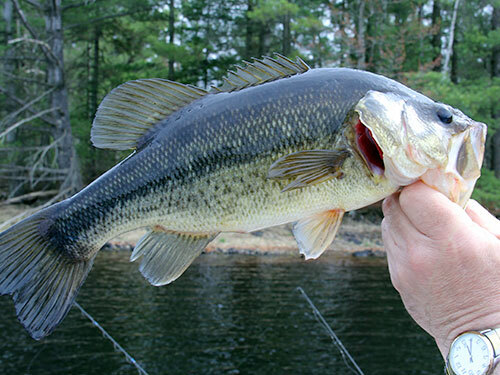 Some fish are located on deep main lake points in early and mid-winter. They move in mud flats in late winter if the weather is mild. Fish concentrate in swift water below dams. Use life bait caught below dam. Jigs or rapala type lures. Same as Spring. Best live bait is herring or try trolling very deep diving lures. Rockfish are more active this time of year. Switch to large bait, 6″ – 10″ shad (live). Also look for surfacing fish. Activity slows as water temperature falls. Use smaller baits. Late spring spawners. Fish begin moving to shallow mud banks (April) then to rocky shoreline to spawn (May-June). Fishing is best on main lake River channels, especially near sharp bends of the channel. Feeding activity falls with water temperature. 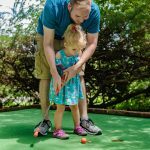 Discover Places to Stay Right on the Lake! 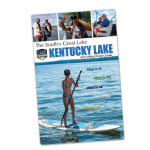 We welcome you to Kentucky Lake where you can sample some of the best fishing there is! This huge impoundment is consistently one of the richest angler’s meccas in America. Dedicated fisherman make pilgrimages to sample the wealth of the lake, and countless occasional anglers have been hooked by the taste of the reservoir’s bounty. 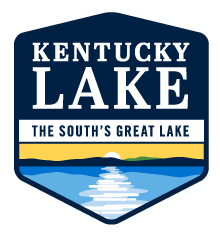 Traditional headliner species on Kentucky Lake has been crappie, fish for which the impoundment has held deserved acclaim. 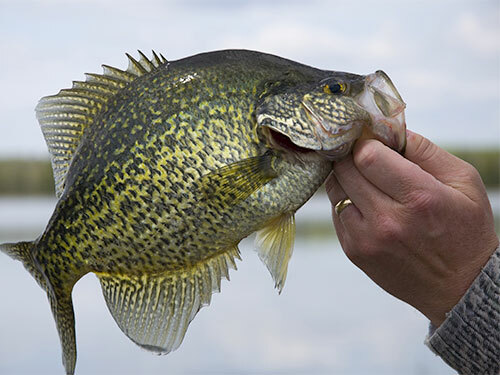 The lake’s crappie grow large – individual fish of 2 pounds are common and limit stringers of fish averaging 1.5 pounds are routine. Most famed on Kentucky Lake is the spring spawn. During this time, fisherman across the country plan their trips to take advantage of the great action just waiting to be had. Crappie move up tributary creeks to bedding areas in shallow coves during the spring. Loads of fish can then be caught in thigh-deep water. Often overlooked, however, is on Kentucky Lake crappie can be caught year-round. A variety of tactics used throughout the year can produce slab sized crappie. Bass fishing run neck and neck with crappie as the hottest commodity on the water. 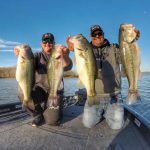 Kentucky Lake has an exceptional population of largemouth bass, with a remarkable number of them in the 4-7 pound range and a good sprinkling of trophy fish all the way up to double digit weights. That’s combined with a companion population of rod-wrenching smallmouth bass, which also produce an enviable number of fish to 5 pounds and larger. A hot ticket item on the lake from mid-spring through the summer is the white bass – “stripes” to the locals. Fish of up to 2 pounds and larger are caught in limit batches. White bass often are caught on the surface as they feed on shad “in the jumps,” and the frenzied action can be hair-raising. Of increasing importance on Kentucky Lake is its sunfish faction. 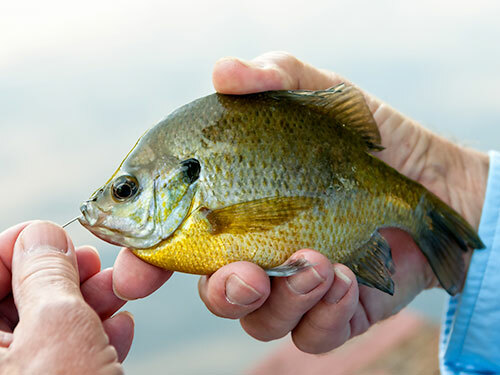 Always abundant, bluegill and the related red-ear sunfish or “shellcrackers” in recent seasons have grown stouter in size. The sunfishes are easily caught by the sackful and are a hot item spring through fall. There are other worthy fishing options, too. 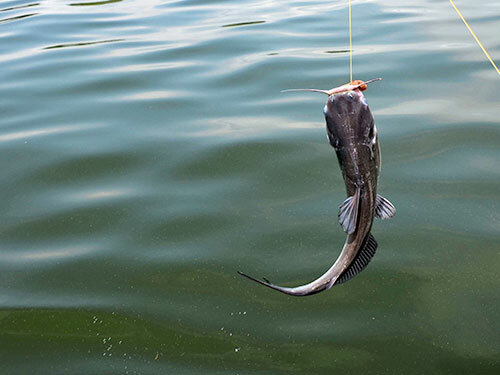 Catfish – blues, channel cats and flatheads – grow to sizes as long as your leg, and larger even, in Kentucky Lake. Sauger, relatives of the walleyes, are often a bonus for white bass anglers and present a significant fishery of their own. A special fishery for sauger exists during the winter months where they congregate during the spawning run in the tailwaters of Kentucky Dam. 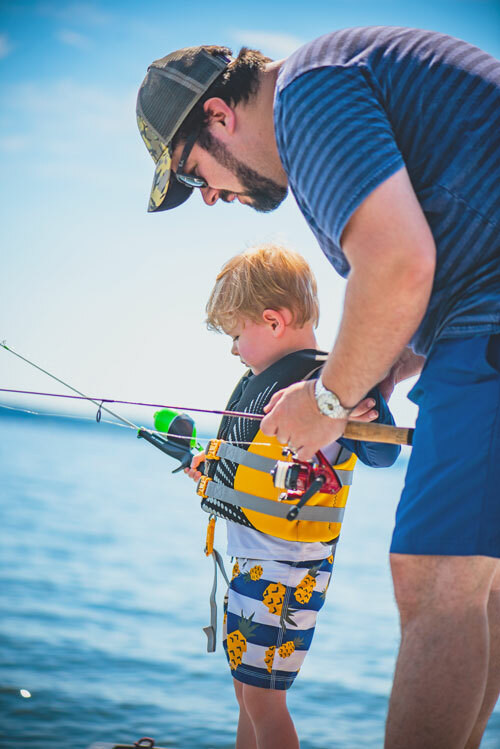 Pick your fish and your style of fishing because Kentucky Lake has the resources to keep your lines tight. 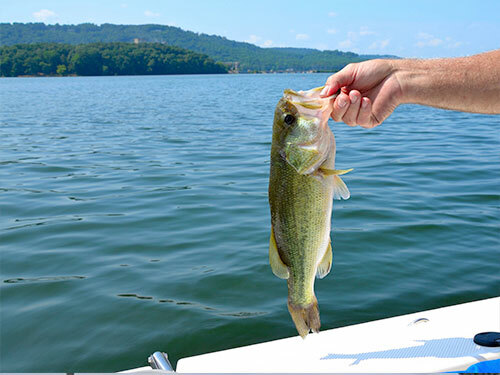 Kentucky Lake has the variety of species to offer fast fishing and hefty catches. The makings of a fishing trip you’ll never forget.